I’m so happy to share with you some new, creative and fun DIY project ideas from the July #30dayflip. The challenge was to create something easy and unique using items from the dollar store. To sign up or learn more about the #30dayflip, you can Sign up Here. 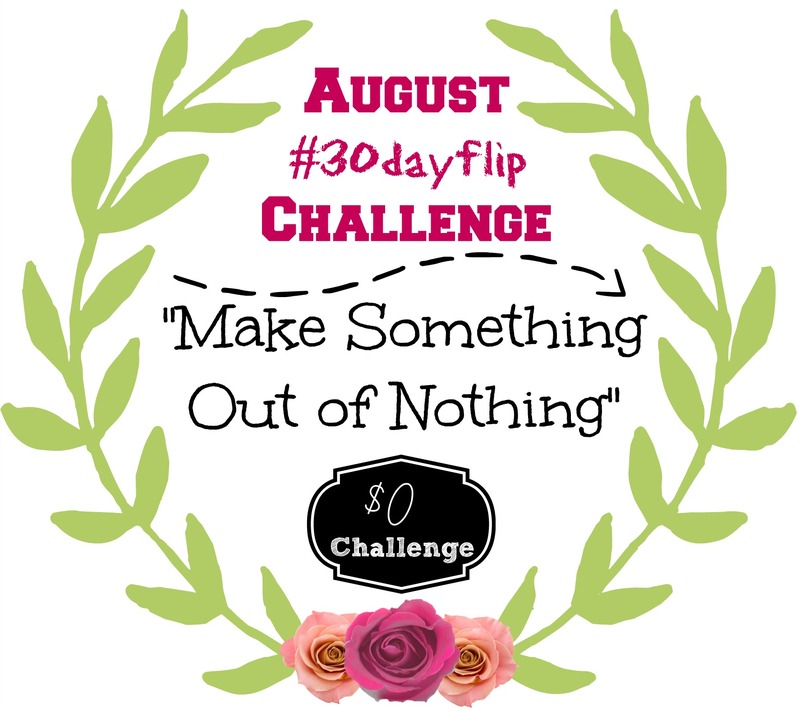 Just in case you’re not familiar with the #30dayflip, it’s a monthly themed challenge where members are encouraged to complete the themed project for that month. Anyone can join in and if you’re interested in joining in on the fun, you can click the pic below to link to the sign up form if you’d like to participate in our monthly challenges. 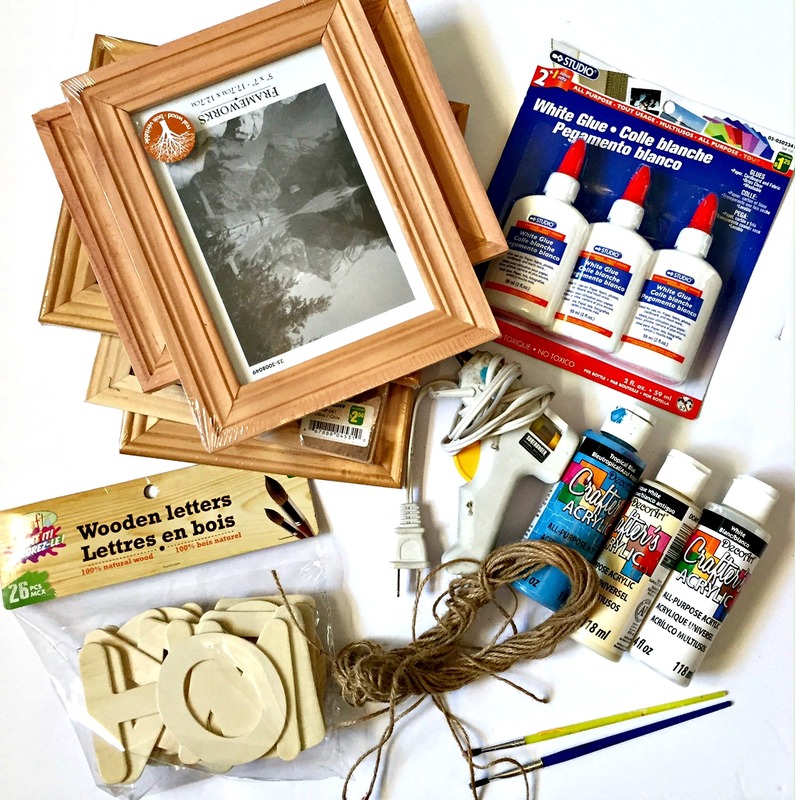 You can also take part by joining the DIY Forum Facebook Group, where DIYers and creatives share ideas, projects, ask questions, and support each other. 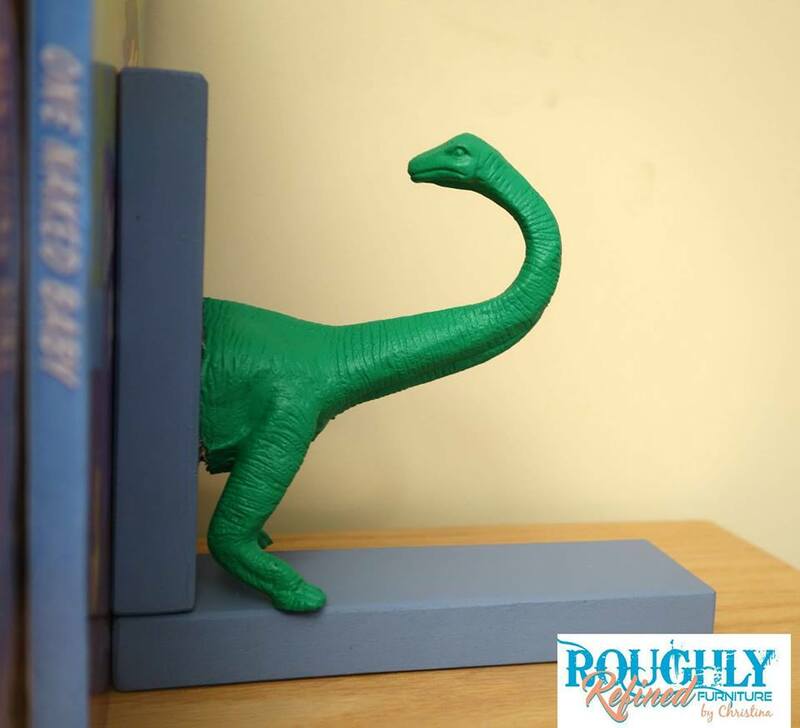 Christina from Roughly Refined Furniture created this absolutely adorable set of bookends for her boys using a plastic dinosaur from the dollar store. 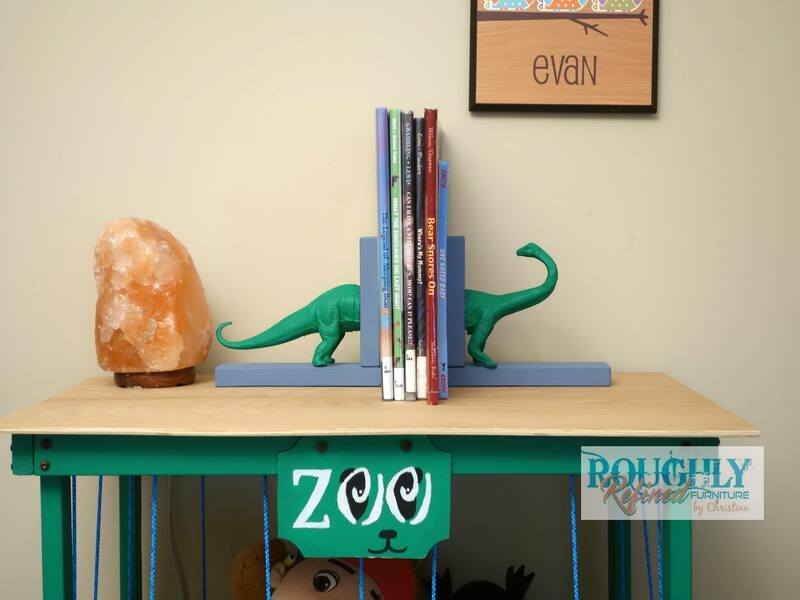 Christina’s Project Summary: I spent $1 and made the boys a Dino Bookend 🙂 They love Dinos right now. 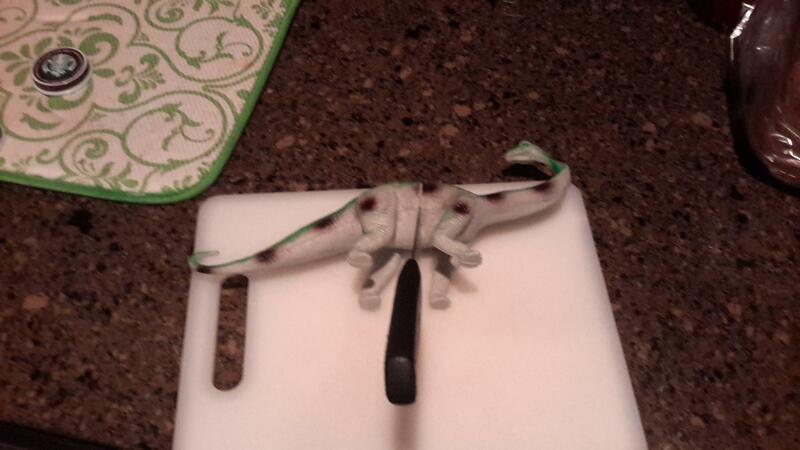 You should have seen the shock and horror on their little faces when I cut the dino in half! They begged for me not too, and were a little mad, but they got over it quickly when they saw the outcome. 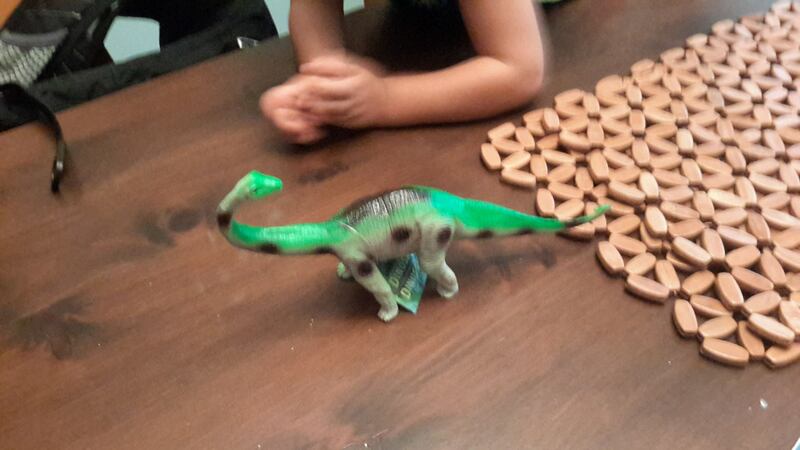 Here is the dino before surgery. Dr. Christina showing off her medical skills with her steak knife scalpel. 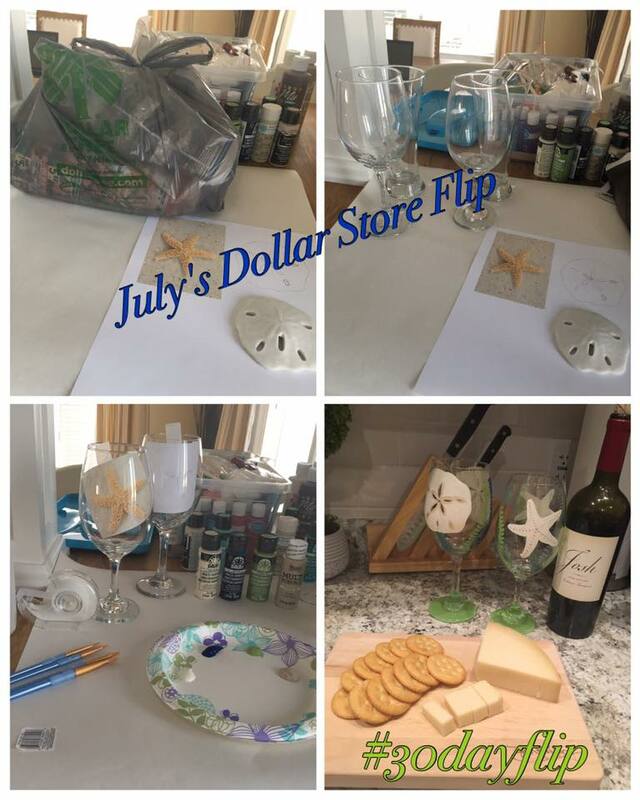 Debra from Discovering DIY…and so much more made this sweet and personalized DIY gift for her friend using wine glasses and paint from the dollar store. 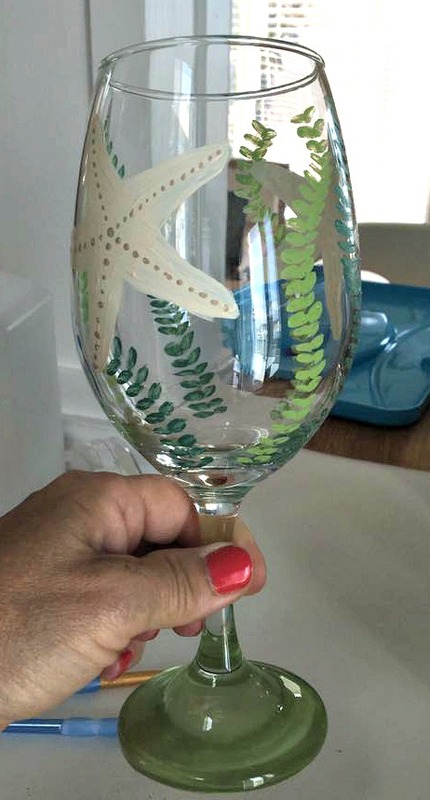 The talented Debra hand painted these wine glasses in an under the sea theme. These are honestly so pretty!!! These turned out so wonderfully, and I’m sure any friend would love to get a set of these cute wine glasses as a gift… hint hint…. 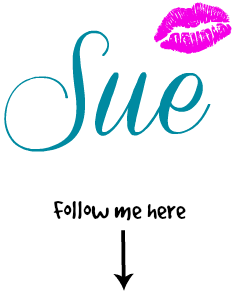 wink wink…. Debra…. Debra’s Project Summary: You have to make sure that the craft paint says for use on glass and no sealing them, you bake them ???? 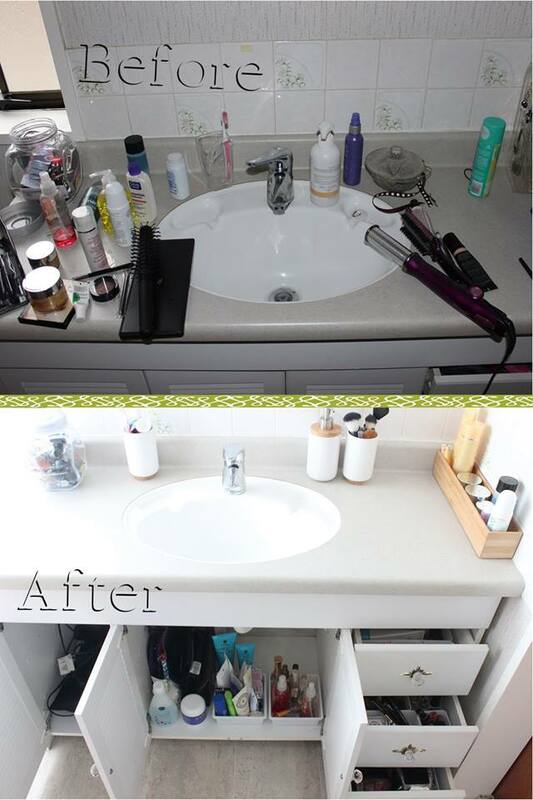 Lauren from SAHM I Am completed a dollar store flip that involved a bathroom organizational overhaul. Not all projects have to take up major time and money; and Lauren proves that just a simple re-org. can make all the difference. Lauren’s Project Summary: Now I know exactly where everything is, and I can keep everything organized thanks to my Dollar Store DIY cabinet tidy up. My dollar store project went coastal with this fun beach sign. I made this sign using frames and wooden letters from the dollar store. I cheated a little and used some scrap wood I had lying around. The completed sign points beach goers in the right direction. Yay!! 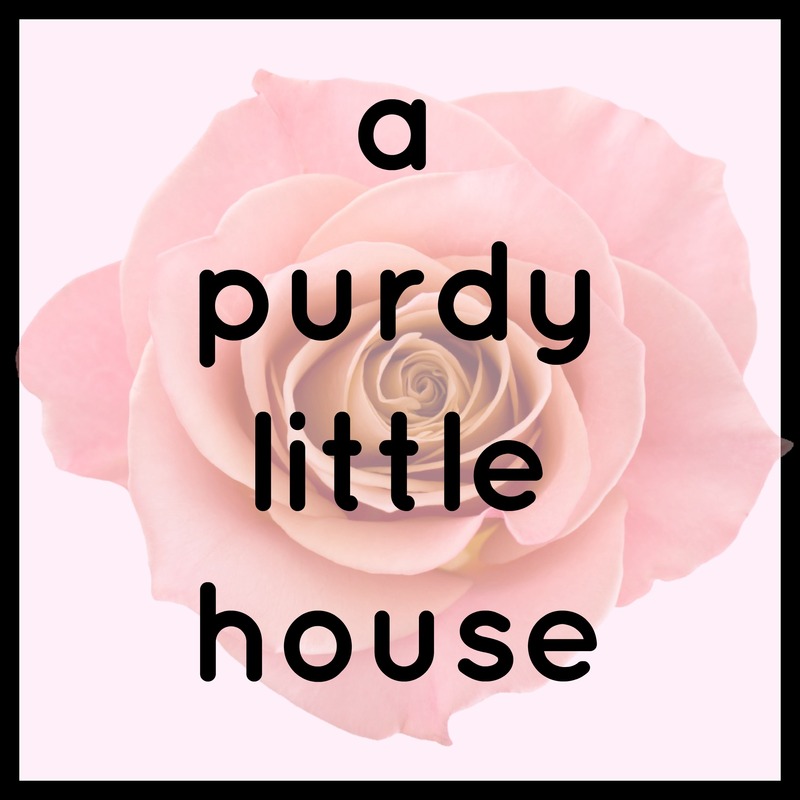 Sue’s Project Summary: I had to purchase the wooden letters, the frames, and the glue. I had the other dollar store items on hand already. 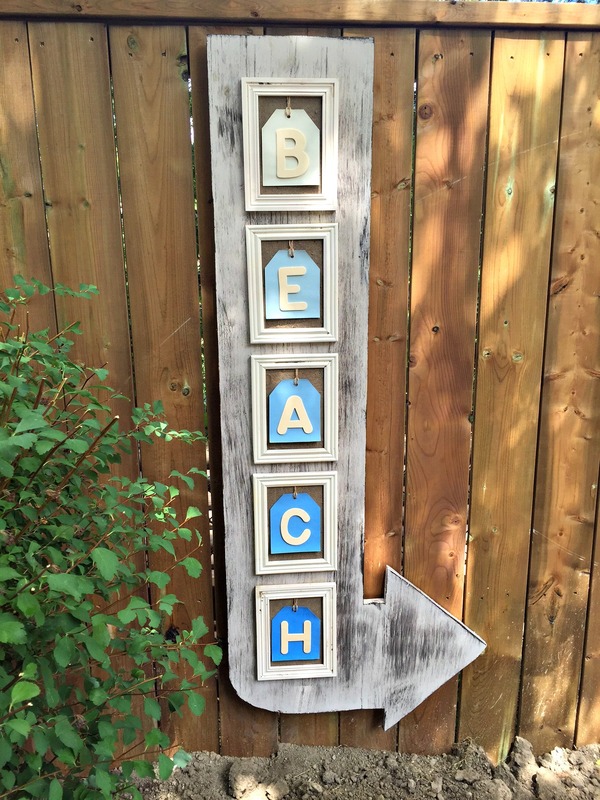 To see the full project, click here —–> Coastal Beach Sign. Thank you so much for joining us for the month of July. Thanks for featuring my bathroom overhaul- and I love the other ideas too! 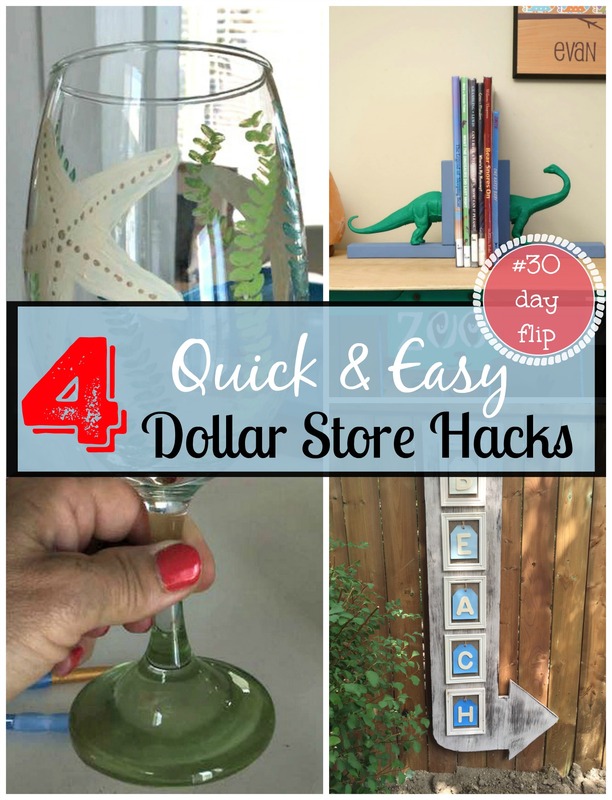 It is so great to see what you can do with dollar store items.